If you have dark hair and wish to dye it blonde, you need to be able to use bleach. More than that, you need to know how to use it safely to mitigate any potential harm. 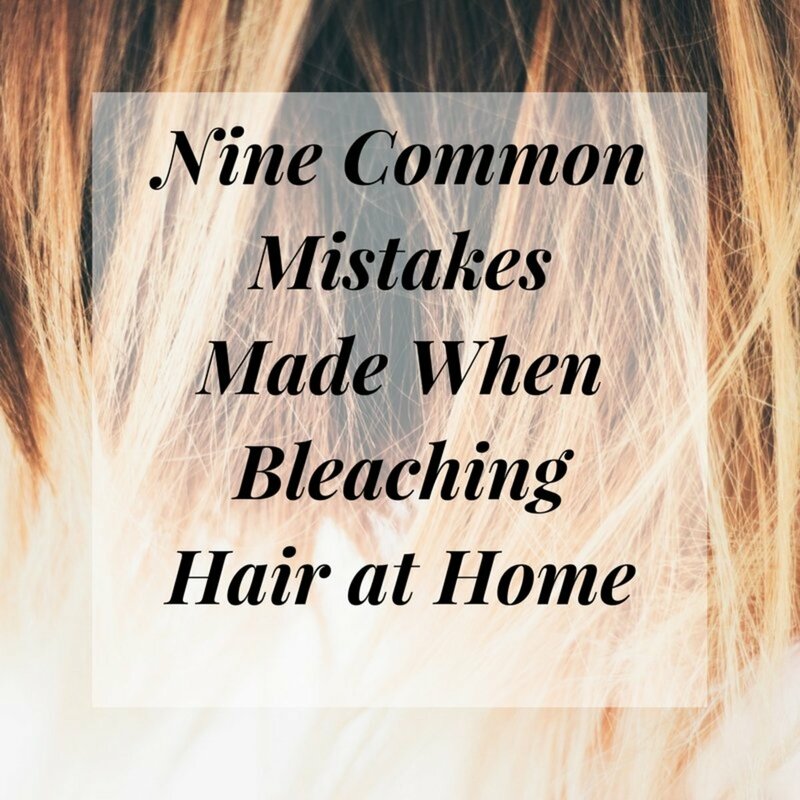 You don't have to end up as another bleach horror story, and by learning a little about how it works and what it can and can't do, you'll have hair that turns heads for all the right reasons. But you should also be realistic about it. You won't be able to go from super dark hair to the lightest platinum in one go. Based on what kind of lift you think you'll be able to achieve in your hair, you should be ready with a dye afterwards to tone it to the color that you want it to be — otherwise, you'll get stuck with hair that looks, well, bleached. Toner and developer for after bleaching (if you're planning on toning right away). Depending on the toner you're using, you might be able to use the same volume developer that you used for the bleach. A deep conditioner for after you bleach (if you're not toning) or after you tone (if you are) to help mitigate the damage to your hair. Olaplex is a recommended brand. You can get all these from beauty supply stores like Sally's, or you can order online. If you're getting stuff for the first time, you might shell out a little bit more to buy in bulk so it's cheaper the next time you do it. Make sure you have everything, that you've read through all the instructions on all of your products, and that you've read this article carefully. Watch some YouTube videos too while you're at it. Section your hair into quadrants and pin them up. To do this, make a part from the center of your forehead all the way to the nape of your neck with a tailed comb. Finish by taking another part from each ear to form the four sections and clip each of them out of the way. The bleach should be the consistency of pudding once you mix it. To prepare the bleach, mix the powder together in a one to one ratio of bleach and your chosen concentration of peroxide developer, unless the brand you're using specifies a different ratio. Check carefully! The product should be prepared and then used immediately as there is a chemical reaction taking place and it loses its effectiveness the longer you leave it sitting. Always use gloves when mixing and applying bleach to avoid the risk of causing chemical burns or irritating your skin. To measure how much bleach you're using, you can either use measuring cups, use the measuring lines on your tinting / mixing bowl, or just eyeball it. The lines on the tinting bowl can be hard to read, so for your first time, you might consider measuring out the ingredients. Make sure you have measuring utensils you don't mind using for harsh chemicals. If you bought a tub of bleaching powder, it usually comes with a scoop. You should also do a strand test to see how your hair and skin reacts to the bleach. This is where you choose a semi-hidden part of your hair to try out the product on. It took two people roughly 30 minutes to apply the bleach. Be forewarned: if you're new to this, it might take you a while. 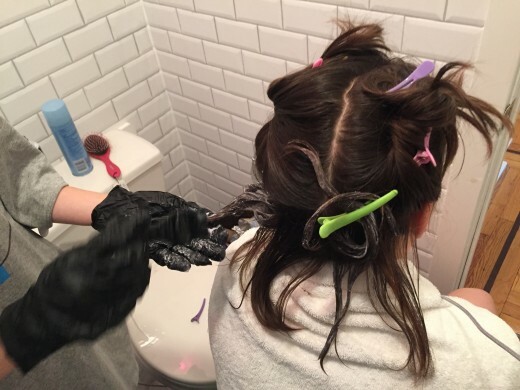 Working from back to front on your head, and top to bottom on the individual sections of hair, apply the bleach with a tinting brush as quickly and as evenly as you can until your hair is completely covered (here's where having friends can help — this can take a long time!) Watching YouTube videos can be helpful as well to see how professional hair stylists (and home stylists) do it. Note: Leave 1/4 - 1/2 inch between the bleach and your roots. Since the heat from your head makes the bleach work faster, your roots need less time to process. Otherwise, you will get "hot roots' — roots that are much lighter than the rest of your hair. After applying to the rest of your head, go back and do your roots. The length of time that you leave the bleach in to process is largely dependent on your goal. The only thing to remember is that it shouldn't be left in for longer than an hour. If the bleach hasn't lifted enough pigment by that time, you will have to perform another application, and this shouldn't be done for at least a week, and only if your hair is still in good condition. Past this point, the bleach won't lift much more color as most of its lightening power has been expended. All you really do is increase irritation to your scalp and cause more damage to your hair from the alkaline environment. If the bleach has lifted enough pigment before this time however, wash it out immediately to stop the process and avoid any unnecessary damage now that you've reached your desired level of lightening. Bleach needs to be watched to avoid over-processing, and you should check it every 5 - 10 minutes. Depending on your hair color, the bleach might make your hair seem lighter than it actually is. In the pictures, you can see that the hair seemed much more yellow before it was washed out. When dry, the bleached hair looked more orange. Also, parts of your hair might lighten at different speeds. In this case, the hair at the top lightened more quickly (and more) than the hair at the bottom. (air-dried) Post-bleaching and pre-toner; hair looks less orange than when wet, but still needs to be toned. Notice how the top is roughly a level 7 and the bottom is roughly a level 6. Two tones! Once you've reached the maximum processing time or you've reached your desired level of hair color and it looks even all the way around your head, it's time to move on. Bleach should be rinsed out thoroughly with plenty of cool water before you shampoo your hair. Any bleach that isn't rinsed out will continue to process and may cause damage to your hair, so it is important that you ensure it is all removed. Shampoo your hair twice to remove any remaining residue. If you're going to be applying a toner immediately, avoid using conditioner. If you use conditioner before applying the toner, this can reduce the penetration of the dye and you may end up with brassier hair than you wish. Hair should be toned and then conditioner can be used after the toner has been rinsed out. You can add a small amount of white vinegar to your conditioner to neutralize the pH imbalance that the bleach has caused. This is an effective way to close the cuticles and bring the hair back to natural balance much quicker. This will help make your hair feel smoother and look shinier. Toning can be confusing for first-timers. You might find it helpful to ask someone who's dyed their hair at home before about what kind of toner to use, or read reviews online of products you're interested in using. There are also some good YouTube videos on it. Check out the "Toning Hair for Beginners" video from somegirljess. In this example, Wella Color Charm Permanent Liquid Toners were used, but your toning process will depend on what toner and developer you're using, as well as what color and texture your hair is. Mix developer and toner in the right ratio. Wella Color Charm toners smell awful. They turn gloopy and purple. If you're using the liquid version of this product, you can measure out the 1:2 ratio by using the toner bottle as a "measuring" cup. Pour the toner into the tinting bowl, then fill up the toner bottle with developer and dump it in. Then, do it again. Apply toner all over the head and watch it develop until max time is reached or you achieve the hair color you want. The toner was let to process for 30 minutes and then rinsed out. You can see how it turns purple-y as it processes. In this example, the level of the hair was not light enough for the toner to remove all of the brassy tones. Both the T-11 and the T-18 need to have the hair lightened to a pale yellow in order for them to be effective. So, there was some effect, but it was minimal. Here's a chart for Wella toners so you can see what level your hair needs to be. So, toning was attempted again. The T-27 Medium Beige Blond was mixed in with the leftovers of the other mixture (again in a 1:2 toner / developer ratio) and let process for 30 minutes, and then rinsed out. Note: It is not recommended to tone twice like in this example! It caused scalp irritation. Only do it once in one day, especially if you're using a 20 vol developer. If you have to do it again, wait a few days (or a week if you can manage it). Second note: Some reviewers have said that the ends of the hair absorb a lot of color very quickly from these Wella products. That wasn't true in this case, but you should still watch the toner closely to make sure your hair doesn't get darker than you want it to be. After the first time toning / after the 2nd time toning; better, but still a little warm. You don't need to shampoo after toning this way, but you should rinse well and condition! Condition, condition, condition! Also, remember to condition your hair regularly after you bleach it. Weekly or monthly oil treatments with natural conditioners like coconut oil are fairly popular. Enjoy your locks you beautiful blonde bombshell! Wait a bit before you treat your hair any more. Using purple or blue shampoo will also help keep yellow and orange tones away. If this is your first time, be forewarned that it will probably take you longer and be more difficult than you think it will be to get the results that you want. That said, it can be done. 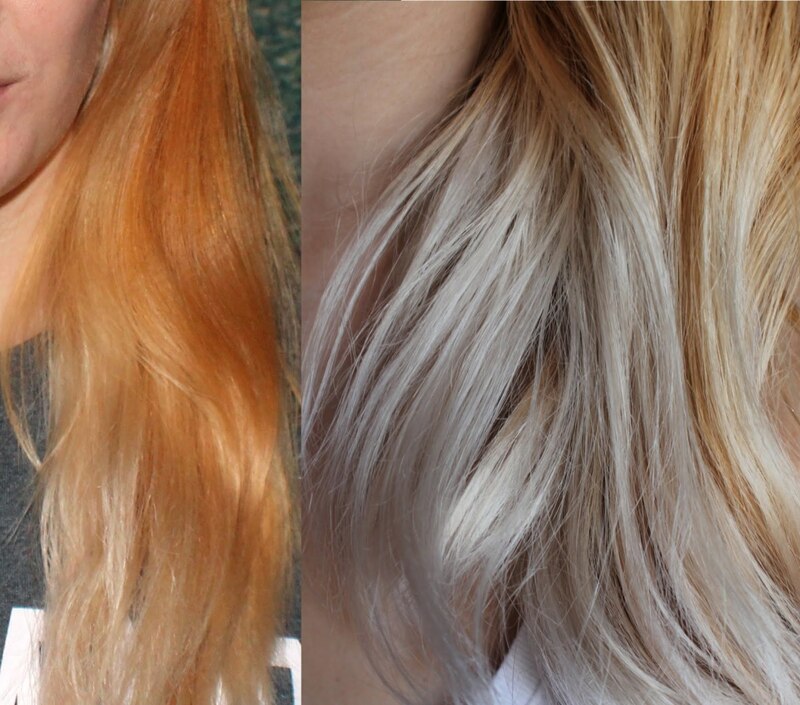 Bleaching doesn't have to end in a horror story, nor does it have to damage your hair. To achieve the best results and maintain the integrity of your hair, remember to be safe when you use it, and to only apply it to hair that isn't already damaged. If you look after your hair like this, it will thank you by looking its best every day. Bleach powder is mixed with something called a developer that has hydrogen peroxide in it. This is what activates the bleach and creates an oxidizing environment when applied to hair. 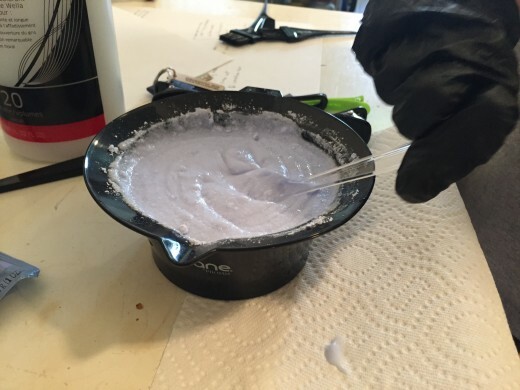 The concentration of peroxide (or developer) used is the major factor that determines the strength of the preparation, and this oxidation is the reaction that allows both bleach and permanent dyes to work. For a permanent dye, this oxidation converts the dye into colored pigment that is embedded in the hair, thereby causing it to become a new color. In the case of bleach however, the oxidation acts on the pigment already present in your hair to disperse it and lighten your natural hair color. When preparing bleach, you need to add peroxide to it to activate it. These are usually called developers. The concentration of the developer is what will determine the maximum lightening potential of the bleach, and this should be adjusted to suit your current hair color and scalp sensitivity. Increasing the strength of peroxide will increase the lift, but will also cause a lot more irritation to your scalp, and more damage to your hair. 10 vol peroxide should only be used on hair that is already close to your desired color. You can use this concentration to lighten a color application that has turned out too dark, or for gentle lightening of 1 - 2 levels depending on the texture of your hair and your dye history. 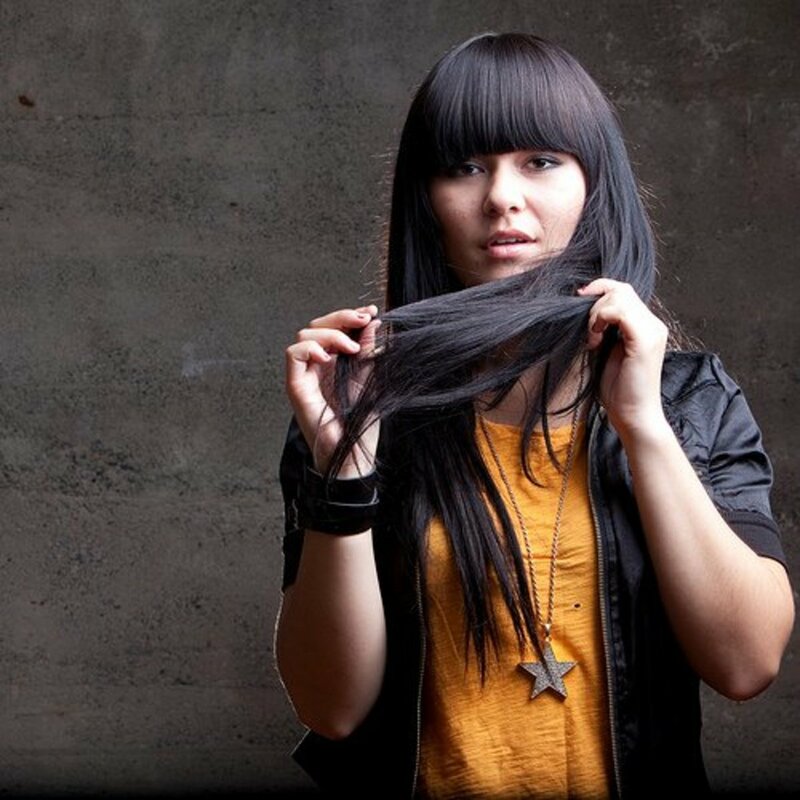 If you've dyed your hair a few times with dark colors, this concentration of peroxide will be ineffective for most purposes where any major lightening is required. 20 vol peroxide is fairly standard for bleaching hair. This volume of peroxide will lift a potential of 2 - 3 levels with low-end products. This level of lift is enough to take dark brown hair to a light brown color, or to take light brown to a light to medium blonde color. It isn't strong enough to lift dark brown or black hair to blonde in one process. 30 vol peroxide is strong enough that most people will notice irritation to their scalp. If you have sensitive skin, this formula is too strong for on-scalp application, but you can use it for foiled highlights as long as you don't apply it near your skin. Using of this concentration of peroxide will attain a lift of 3 - 4 levels. 40 vol peroxide, mixed with bleach, should not be used on your scalp at all. It shouldn't even be used for highlights in most cases. Whilst you can buy this concentration of peroxide, it's mainly produced for high-lift blonde dyes. It's not meant to be used with bleach these days, and you'll risk injury to your scalp and damage to your hair if you attempt to use it like that. This is one of the mistakes that spawns bleach horror stories. The lift potential of the different volumes of peroxide is true for both generic and salon brands of bleach, however high quality salon brands like Wella and Indola offer bleach powder that can potentially lift up to seven levels in one bleaching. Use quality branded bleach to go lighter, with less damage and better results overall. Wella Blondor is a high quality bleach powder and will allow you to get your hair lighter, with significantly less damage. Always use a quality brand like this for best results. Bleaching your hair won't turn you into the blonde that you want to be. You'll also need to know how to tone (or dye) your hair afterwards to get the shade that you want. And all of that depends on the hair level that you achieve and its underlying pigment. All hair colors — from black to the lightest blonde — fall somewhere on the international color code level system. Black hair is defined as level one, the darkest possible hair color. 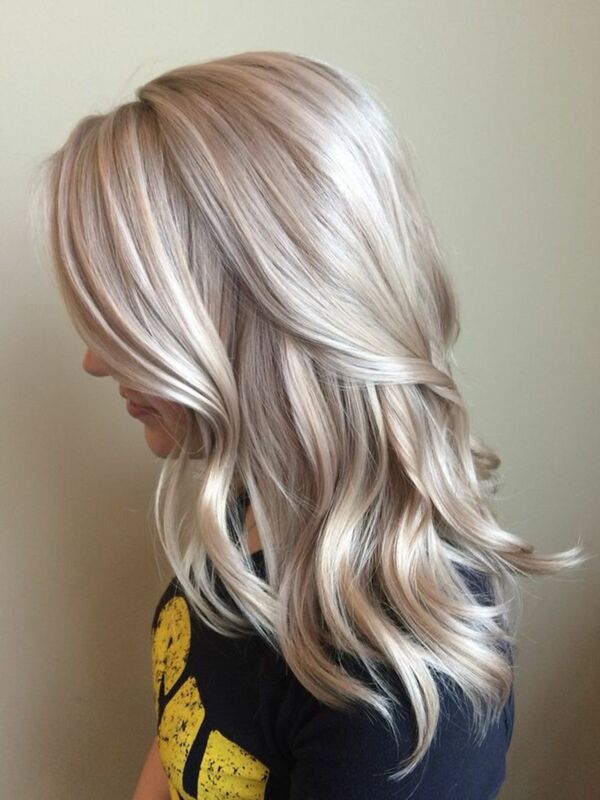 Pastel blonde is a level ten, the lightest possible hair color. All hair colors also have an underlying base pigment that contributes to that depth. In blonde hair, this base pigment is anything from pale yellow to golden orange. Black hair has a deep, dark red base. When you bleach your hair, the color is stripped away to reveal this base pigment and you can estimate how much lightening has occurred by looking at the base color you've arrived at. You can also use the base color as a guide to what level of toner you should be using, and what color you will ultimately be able to reach after toning is complete. As an example of how you would go about using this information, if you have identified that your current hair color is a level five, and you can lift it up to three levels with the bleach you've prepared, the lightest level you can reach is an eight. You can then see that your hair is now a dark yellow color which tells you this is correct. Now that you know what level you've reached, you know that you'd need an ash toner that is a level eight or nine in order to neutralize this yellow pigment to a natural blonde color. Should You Use Bleach at All? If your hair hasn't been dyed before and the color you desire is less than three levels lighter than your current hair color, you can use a dye instead of bleach. For three levels of lightening or more, bleach is more reliable. If you've dyed your hair previously, you will generally need to use bleach to lighten your hair regardless of what color you want, because dye can't remove dye. You should have a goal in mind before bleaching your hair. By combining the concept of depth levels and the lifting potential of the different peroxide concentrations, you should arrive at an estimate of how much lift you can achieve when bleaching your hair, and this will help you avoid mistakes and not hold unrealistic expectations when you use the product. 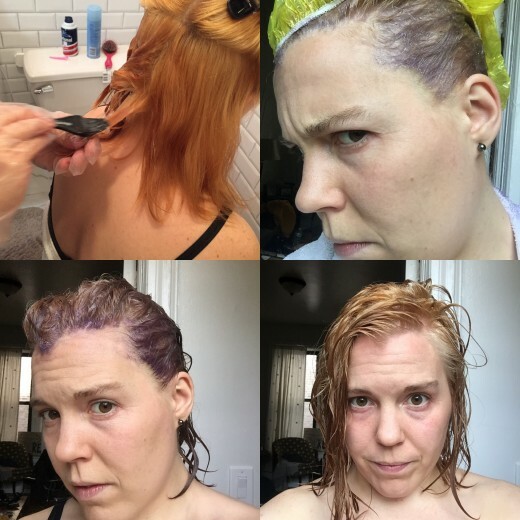 Toning is when you dye bleached hair to remove undesired colors like yellow, red, and orange by applying the colors purple, green, and blue (respectively). Toner itself is just another term for hair dye that you apply after bleaching (though there is some nuance there too — you shouldn't use just any hair dye to tone your hair). Don't overestimate how light your hair will get with one bleaching. If you buy a toner that is meant for hair that is lighter than yours is, it won't work as expected. This is true for the very popular Wella Color Charm Toners. Be prepared to have your bleached hair be slightly different levels. If it works out for you and your hair is bleached evenly to banana yellow all over, congratulations! Otherwise, you'll have to deal with hair that is lighter in some areas and darker in others. Watch your hair carefully as you tone. In some cases you might accidentally dye it darker than you want it to be or to a shade you don't want it to be. For example, some people experience having their hair look grey if they leave on the Wella T-10 toner for as long as it's recommended. 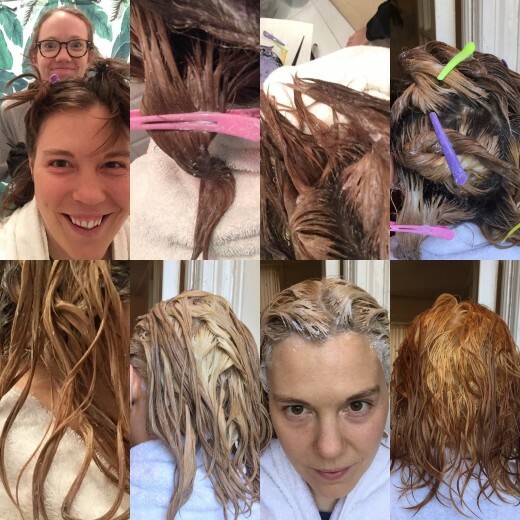 Bleaching and dying your hair blonde is an experimental science, not a theoretical one! You're going to make mistakes, but that could happen at a salon too. Wishing you best of luck on your bleaching adventure! I hair is black and I wanted just the top part dye in red copper. Well it change the roots that color but the ends where the black was didn’t change. I was wondering what to do. Should I bleach the ends to get the black to change close to the red copper I’m try to get. I would like to dye my hair ginger. I've dyed my hair dark brown for about 8 years so I've got a lot of build-up. I tried using hair colour remover but the effect was minimal. Usually straight after application the colour was great but it got darker and darker again with each day. So I plan on using bleach. Can I apply hair colour straight after bleaching? Great post! Very well-explained and easy to understand. Will definitely be taking your tips when I dye my hair soon! what are the ingredients for bleaching? Hi mr. James so I got balayage in my hair many months ago and I want to touch it up and make my hair lighter. I have medium brown hair normally and my balayage is light brown and little parts a more blonde. What would you recommend for how much bleach and peroxide I should use to match the color of my balayage? Thanks so much this was so helpful!! Very well written and easy to understand. Do you have anything written on choosing a toner? That's where I find I get overwhelmed. I want a medium to light "wheat" blonde highlight. My natural hair (according to my husband) has both medium brown and dark brown (thanks a lot, hon, you just made it more complicated. Ugh.) I have some highlights a friend did for me with about inch and a half regrowth/roots. She stayed mostly to the front/top/crown. I think I want to do the sectioning you talked about. Thank you in advance for your help. How do I mixed the toner after bleaching? How long after the bleach can you start coloring your hair with a dye? Hi there, hoping I can still get a reply to my question as I see other commemts are 2+ years ago :(. I have recently decided to go blonde. I started from black (dyed) I have bleached it 5 times now (with plenty of time in between) my hair is currently very very light on my roots & yellowish orange everywhere else. I am wondering if maybe I rinsed the bleach out too soon? I am only using 20 vol as I know that my hair Definately cannot handle 30 or 40!! I am wondering if I bleach it again if you think it'll finally go to the yellow/pale yellow so I can put on the "Light Iced Blonde" dye I have? I am trying to get very light blonde (Kind of white) on my sisters hair, she's has quite few different tons on her hair I have done a quite long roots re-growth bleached to go lighter... but she has some previous highlights from middle-lengths to ends... which is kind of very light highlights some kind of light brown some kind of honey... and the re-growth I didn't get much lighter there's some parts nearly white and some yellow brasses... and she wants to get all hair at the same tone very light kind of white what would you advise me to do next? Hi... Sorry for asking in this old post. I hope there's still a chance to get an answer. Hi. I have dark brown hair and want to bleach it so i can put some whaky colours in. I have pro-oxide 9% 30 volume. This is an extremely informative article. I have research trimming and bleaching. This is the best for the bleaching. The author explains amazing level info. Thank you for this. I have just about had it with my stylist as she has become too self absorbed in becoming a successful exhibitor that she thinks she can charge over the odds now for existing clients seeing as she has become "very experienced". After following John fredas info on trimming 2-3mm every 2 weeks my hair is now Lush. I tried the bleach and toner with poor info, still done a better job than box bleach but I didn't understand the concept of the levels. Now i do! Thank you so much! Maffew James....learning lots from your posts! The last year I have been using Clairol age defy in light ash brown to cover very few greys only at my crown leaving it on the full 30 minutes then the last 5 minutes all over shoulder length hair. It is pretty much my natural color. Does ash cause hair to green up when lightening? I am hoping to add in highlights to change it up....nothing drastic/stark. (not yet at least :) ) I purchased the Wella bleach along with a 30 developer however kept reading more and now believe instead I will go with a clay bleach that can be "painted" on rather than using the foils. Appreciate your opinion on the Joico free clay play/30 developer (can developer be any brand or must it be Joico ) then follow up with Joico Toner 3/4 of clear mixed 1/4 of 9NV with 10 developer. Just from watching online the clay seems easier to work with....wherever its is placed it stays....and since you dont have to over section and foil it can be applied quicker. Would your instructions to leave on until it reaches the orange stage still apply or would I leave on to reach a different level....or since orange is the undertone once it reaches this stage it does not get lighter? The reason I ask when I purchased the Wella bleach at Sallys I asked that very question....once the orange undertone is exposed do I stop processing.....they said leave on and continue until it reaches a butter color like the color the inside of a banana. I am also going to purchase Olaplex #1, #2, #3 adding 1/8 oz to the bleach to reduce any and all chance of mishap....following up with #2. Going forward rather than using the Clairol boxed light ash brown can you suggest a pro dye for those my out growth crown or is the boxed light ash brown good to go. I have had my hair salon colored "forever"....I am pretty sure I can do this with your guidance. Mr. James, thank you so much for this extraordinary article. The details you provide here are so very helpful to me. I have one question. 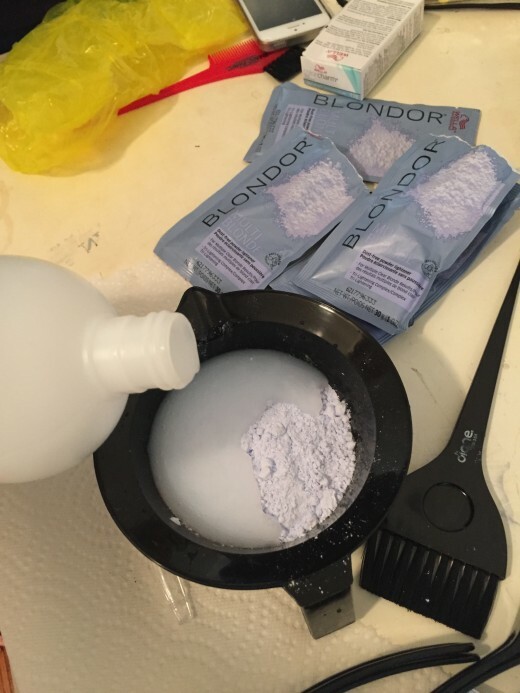 You mentioned that when using "High quality salon brands like Wella and Indola offer bleach powder that can potentially lift up to 7 levels with only 20 vol peroxide." May I use Wella Blondor with Wella Koleston Perfect 20 volume on my level 4 hair in foils? I would just like to get my foiled Virgin growth to 8 or 9. My hairdresser has been using Redken Flash Lift with 40 volume for about three years, but I think that it's causing breakage, as she commented on that at my last appointment. I am concerned that 40 volume may be too rough for my fine straight hair. Thank you for your assistance! After completing a quadrant of hair, is it best to clip it back out of the way, or could that mess up the consistency of the lightening? Good afternoon. I bleached my hair with 30 minute bleach and 20 volume peroxide. I want it white. It has a brassy orange on the roots. What do I need to do? I have had it bleached before. Hi. I am a natural 2n brown. I have bleached /dyed ash blonde hair. I want to add white highlights to it. Is a 20 volume developer high enough? And about how long should i keep the bleach in? I was able to bleach my hair to and orange gold with just a 20 developer and wella bleach powder. And then dyed it to a light ash blond and its perfect just want little white highlights. Thanks. Hi, I bought roux dust free violet based bleach and 30 volume creme developer at sallys the other night. I have dyed my hair multiple times in the past but it's mostly back to my natural color now, a medium-dark brown. I know I'll have an orange outcome using this more than likely but my question is can I wait a couple of days to use a toner since I didn't get any at the time of buying the bleach and developer? I removed too dark hair color with Malibu DDL and 10 vol and added a mixture with 20.vol to shaft it lifted to a copper color I applied a Shades EQ 9gb and 8 n as a filler with developer and clear rinsed and dried then applied 6 AB and 8ab its still to orange but lighter. I relized I need to lift the hair to a even lighter shade orange/yellow then tone with a 8 ash. I'm planning to use Logics light reactions and 20 vol. from scalp to ends. The shaft and ends are a little dry but good condition do apply to roots first wait to lift a little then shaft and ends or all at once? Hey. Your article is really helpful. However, i do have some questions for you. I want to dye my hair silver grey but my hair is dyed dark brown. I understand that i have to bleach my hair at least twice to whiten my hair. So, do i have to tone my hair everytime i bleach or do i tone my hair after the second time i bleach? hey..i tried ombre at home..went well with loreal ombre kit but had to cut it due to excessive damage over time..so bleached my dark brown hair for 30 minutes..the end are yellow and coppery at the top like from bottom to top 5 inches of bleaching..why didnt all the 5 inches take up color..should i bleach again?and i ant ash blond at ends fadding to golden brown at top till the 5 inch bleach from the bottom..what would you suggest? Generally with porous hair, whilst it grabs a lot of pigment, this also fades out quickly. This means that with a few washes it will lighten quite a bit from what it is and you may not need to lighten it yourself. However, if you want to speed this along by bleaching it, I'd recommend bleach washing it using 15 vol developer. You can make 15 vol by mixing equal amounts of 10 vol and 20 vol if you don't have it pre-made. If you needed 30 grams of developer for example, you would mix 15 grams of each concentration to form the total required amount at the new concentration. You could also just use 20 vol and watch it more closely (the lightening will occur a little quicker). Once you have the developer, mix this with the bleach powder and an equal amount of shampoo, then apply to slightly damp hair. 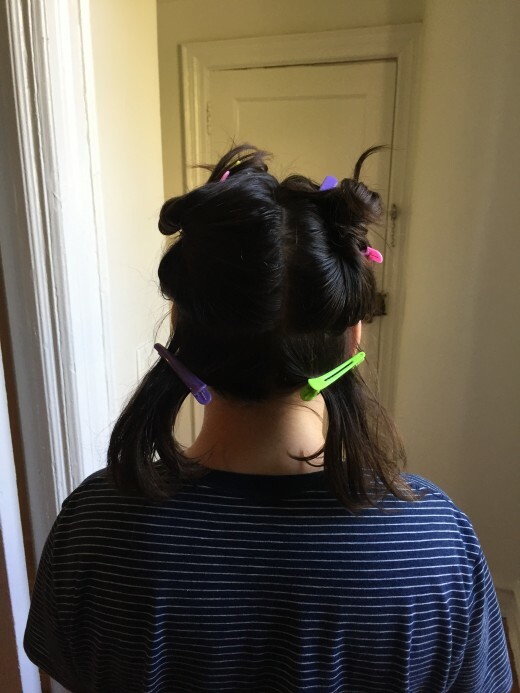 This should lift 1 level out in about 20 minutes, but the time can vary depending on your individual hair, so keep an eye on it and rinse when it's acceptable. Just don't exceed the maximum processing time for the brand of bleach you're using (Usually 45- 50 minutes) to prevent excess damage. It's not likely you'd need to leave it anywhere near that long though, so this shouldn't be a problem. After you've lightened it a level, this will reveal some warmth because you're lifting out the dye and revealing the base tone. As you had wanted a caramel brown, this may not be an issue, but if it looks too 'orangey', give it a tone with a semi-permanent or demi-permanent dye. Based on what your hairdresser had used turning out too dark, 9A (very light ash blonde) should be optimal for this. Apply, leave until it has neutralised enough warmth for your liking and then rinse. 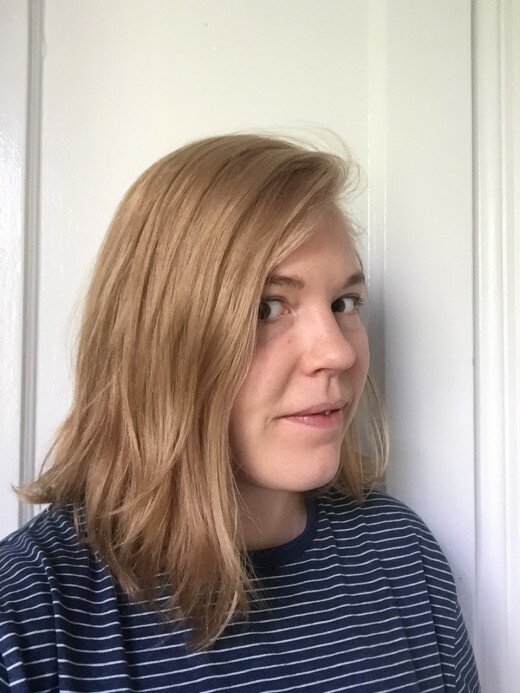 I basically had my hair dyed a week ago and it was fairly light and porous (I had foils and colour done previously and it had faded greatly until I went back to the salon to have my hair done last week). The hairdresser said he did a level 7, but my hair grabbed a LOT and so now instead of a "caramel brown" that he said it would be, it's ended up a medium brown and it's too dark for my fair skin and freckles lol. I'd like to lighten it 1 shade. I've got bleach powder and several different vols of peroxide. What vol peroxide would you recommend and how long would I leave it on for please? Hi! So I'm in the process of going blonde and I have already done 2 professional sessions at a hair salon but i can't afford to do more. My hair is no longer dark brown it's more of an orange brassy color with some yellow in it. I know I have to bleach it and add toner, but do I also have to buy like a blonde hair dye to add to my hair in addition to the bleach and toner or will just bleaching and toning it do it? Hai i was just wondering when bleaching/dying your hair does it have to be dry or parshly damp or wet? I haven't seen any of your responses in months. Are you still answering hair coloring questions? I want to bleach my hair for the first time on my own. So here I go my hair is colored dark brown. Naturally I'm a aschblonde or as I say street dog brown..
Well i looked up so many how to do but none said the exact amount of messsurment I need or how long it has to stay in.. I want to do the balayage or ombre.. So could you help me with that. 3 .. can I put another color on for contrast.. When bleaching or toning when do you start timing...is it the first moment you start to apply or do you start timing once you have finished applying the mixture? Can I use #Wella Illumina on a bleached hair? sorry for my language .. I have been bleaching my hair from brown to platinum blonde for 8 years now. On my last application, the hair stylist put a second application on it & over processed a chunk of my hair in the centre of my scalp. It all snapped right at the regrow th & all that was left was about a centimetre of hair. I had breakage at the front & lost some hair throughout. I have been taking very good care of it & I now have 8 weeks of re-growth. Is it okay to use a 10 volume with bleach to add some highlights around the crown to camouflage my roots for a bit? I will be reading this, but at first and even second glance, it makes me cringe it reads coloring hair blonde DYEING dark hair blonde. You could only 'dye' hair blonde if it's white to begin with. To dye is to add pigment/color. Bleaching... or preferably to call it 'coloring' or lightening to whatever shade of blonde, it accurate. On to notice no mention of 50 volume peroxide/developer. Yes, there is such an animal. Perhaps not mentioned as you have to be a licensed hair professional to buy it? If I dyed my hair a week ago, when can I bleach it? Hello Sir. Your article truly was very helpful.. I've got very frizzy hair. I'm planning to bleach my hair as well as condition them after shampooing. Is there still a need for me apply serum after the process? Will it damage my hair or make it sticky / oily. Kindly advice me on it, Sir. I assume that hair bleaching process is the same with making highlights or streaks. Cool article, thanks. Great article. I bleached my hair with ion powder and 30Dev a few days ago. It turned orangey and spotty. I toned it right after and then a day later with wella 18 and it looks slightly better but I hate the color. It's super light at the roots and yellowy throughout. I dyes the under part magenta and it looks great (probably due to the Orange undertones) but the two colors look terrible together. I am scared to bleach again and ruin my color and cause more damage but I'm worried I need to so I can achieve a lighter, more neutral blonde. If I do bleach again how do I keep it off my lower quadrants? Can no use the same supplies but for less time because I have a bunch? I also use purple shampoo and deep conditioning treatments as well as coconut oil soaks and it feels so much better than any other time I have bleached in the past. I just read this article on how to bleach, i have a question. 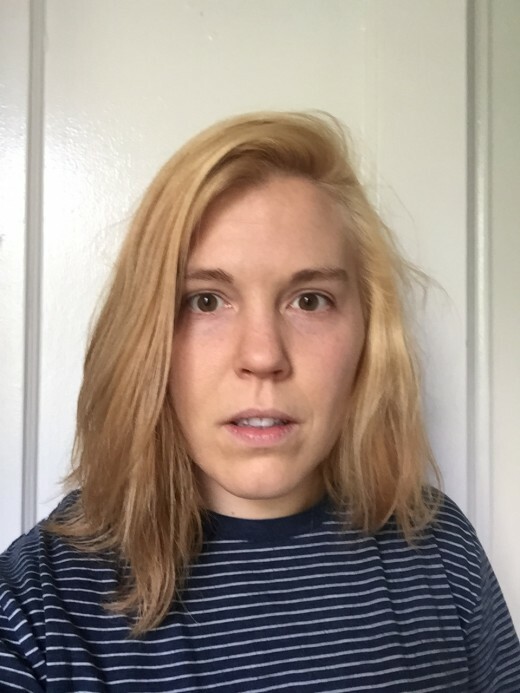 Is it possible for hair not to get bleached at all with the given time after application? I bought a 30vol developer and im not using foil. Do i have to use foil when bleaching? For about half an hour i see no visible changes. Is that normal? Or am i doing something wrong? Hey there! Great article! I'm going to be dying my hair here in a few days and just wanted some advice. So my hair is currently sort of ombre. I had bleach blonde hair a few years ago and have let it grow out so about 3 inches of my hair at the ends is still blonde. 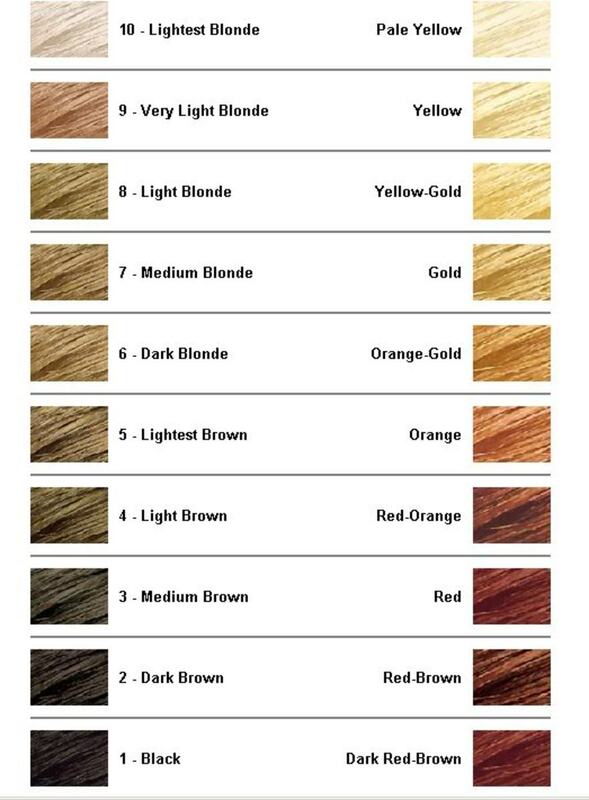 The rest of my hair is my natural color and I'd say its a level 2 or 3. The color I am trying to achieve is a dark fuchsia to hot pink ombre. I plan to get Wella Multi Blonde powder and developer. My hair tends to be extremely brassy/orange when I bleach it. I'm wondering about what type of toner to use. Light Ash Brown? Ok... I have not dyed my hair 2 years ago like 3 years before I bleach my hair only ends not roots... After a year about that I dyed my hair a 5n and I'd like it because it matches my roots after that I don't dyed it but I think the dyed fell already of my hair I have my roots natural brown like a 5 or 6 but my ends look like a 5 too but it has a redish tone... Now I want to do the belayge hair and I was wondering since I have virgin hair on the top almos like 10 inches of my natural hair and the rest like 5 inches with the bleach it's going to turn out difrent color? Your articles are so informative and thanks to you I finally feel like I have the knowledge to lighten my own hair & hope to tackle it in the next few days! After reading all of your articles I believe the steps below is what I should do however had a few questions that I am hoping you can help with!! My hair is a level 2 very dark brown. Sections of the lower half of my hair are lighter due to a previous balayage. I am wanting to go all over lighter - to a natural light brown/Bronde level 5 - not too ashy, golden and no reds and then do another subtle balayage (my previous one is mainly on my ends due to cutting my hair) just one level lighter than the level I do all over to add some dimension. I believe the first step should be to lighten the hair all over then do the balayage. 1. Deep condition my hair a couple days before. 2. Mix 2 parts 20 Vol with 1 part lightening powder in the same brand. I only have access to a Sallys. So I purchased Wella Color Charm Powder Lightener with Wella Color Charm 20 Vol Creme Developer. 3. Divide the hair into 4 sections - clip up the sections that aren't being worked on. Work quickly and apply to dry dirty hair from the roots to the bottom starting in the back. 4. Allow the bleach to stay on until the hair is bright orange checking every 5 minutes. Should the hair be wrapped or heat applied? Do not allow the bleach to stay on for more than 45 min - hour. 5. Rinse the bleach out with cool water then shampoo 2 times. 6. Mix 1 part permanent ash dye 1 level that is lighter than the final level I want to be with 2 parts 10 Vol developer and apply. 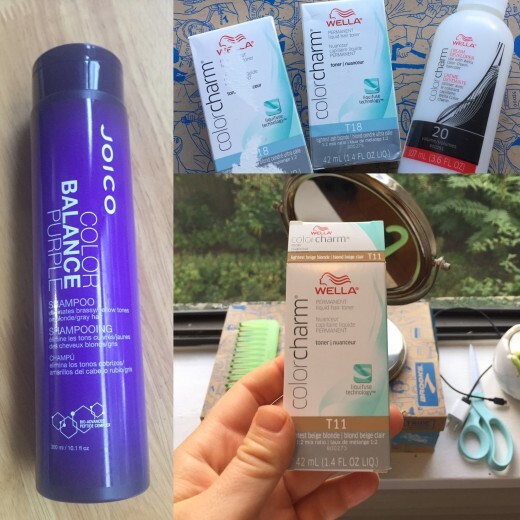 To wet, damp or dry hair? I purchased Wella Color Charm Permanent in 6A Dark Ash Blonde. To get more of a neutral light brown the dye needs to stay on longer? It will go from orange, golden, neutral and then ash? 7. Once it reaches the color I want rinse it out with cool water. Shampoo? Condition? If for some reason I accidentally leave the dye on for not enough time and it is too gold or on for too long and it is too ashy what steps would I take to get it to the natural brown I am wanting? I also purchased a protein treatment. Should this be done immediately after toning or wait? It looks like in one of your comments that you stated this should be done 2 times a week for up to a month to restore the hair. After I have lightened all of my hair to a light brown I would like to go in and do a subtle balayage one level lighter than the overall color...or will one level lighter not be enough to see? I just want it to look very natural. How long should I wait to do this after the initial lightening? I will have to use bleach powder & developer (20 vol?) instead of dye right and wait for it to get to a golden orange, rinse then tone? When I tone the highlights I should use a level 7A and apply to the lower half and then to the top so that it is even? 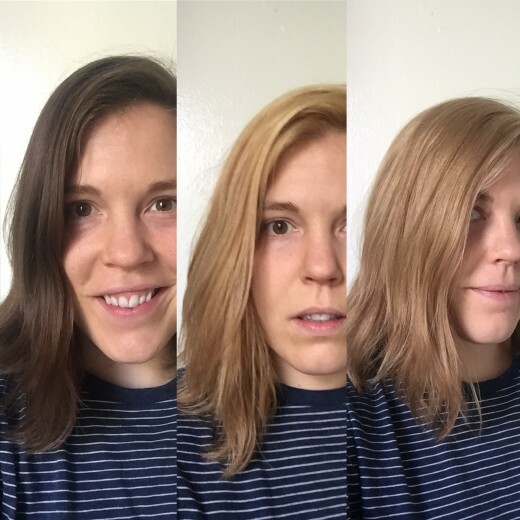 In one article you mentioned applying a semi-permanent after shampooing to keep the brown from fading and leave on for 5 minutes then rinse. What color (Schwarzkopf Igora's Expert Mousse 8.1?) should be used for a light natural brown and how often? To combat the roots - every 6-8 weeks I should do steps 1-7 however instead of applying the bleach all over only apply to the roots, then when I apply the toner first apply that the the roots and then in the last 10 minutes apply to the rest of the hair? How will I know when the last 10 minutes is? So excited & patiently waiting!! Thanks so much! Hi Mr. James. I want to lighten the color of my hair from black to a violet red. I understand that I must bleach my hair in order to get that desired effect. I also must mention that I have dyed my hair many times for various shades in the past. Would you recommend a 10 volume or a 20 volume with bleach powder? Not sure if I'd get your reply as I didn't include my email. Please use kittyspirit@live.com. Thanks. Hello, I need some help figuring out how to get my hair where I want it. My natural roots are a 5 that pulls red/orange. I've been getting my hair highlighted blonde at Supercuts for a while and I believe they've been using 20-volume developer with a 9 or 10 level blonde color which ends up resulting in highlights that are about an 8. What I'd like to do in order to save money and change things up is to have my whole head a base 8 and highlighted with combo of level 9 and 10 (might hand paint or use cap). I'm not sure how to go about doing this safely. I went to Sally's and ended up with tubes of 8v, 9v, and 10v of Ion Brilliance Haircolor and 20, 30, and 40 vol developer. With a test stand, even using the 40 vol developer with the 10v color on my roots resulted in a light auburn color after 45 min, which is rather baffling because I'm not sure how Supercuts got my hair so light using 20 vol developer. I think they use Paul Mitchell color but I'm not sure. Anyway, what should I use on my roots to get them where I need them to be and how do I safely lighten the highlighted portions of my hair to one color without causing further damage to the strands that are already a level 8, but are still mixed with my natural color? Thank you. I have level 1-2 hair colour and want to bleach in stages. Is it possible to bleach to a level 5/6 then rest my hair to recover and then use an ultra highlift blonde dye with 40vol? I know you have another article that says you must use highlift on virgin hair but can it also be used on prelightened that's not dyed but toned? Thanks for all your awesome advice. Based on the selection at Sally's, I'd recommend Loreal Quick Blue or Wella Color Charm. Whilst both brands have better bleach powders available, these products available to you at Sally's will still be dependable. Using the same brand of developer as the bleach will give the best consistency of product because it is designed to mix well with the same brand, but in the end developer is developer for the most part. Feel free to use any brand of developer, as long as it doesn't appear to have separated or developed lumps. Cheaper developer is more prone to this and it will make it more difficult to get a smooth consistency to the bleach and may lead to patchiness where the lift has varied during processing. As for the roots, base it on how dark they are compared to your lengths. If you're seeing up to 3 levels of lift in your dyed lengths, expect 1 - 2 levels more lift to be possible to the roots due to them being virgin hair and closer to the warmth of your scalp. If your roots are darker than the lengths, you can apply all at once and it will help even that up because they will lighten more extensively to reach the same level as the lengths by the end of application. If they're the same level or lighter, apply later into the application. Ok so here is my situation. I have virgin roots from regrow th but the rest of my hair is a dyed faded red. We did a purple strand tests .. And with one lifting process using bleach and a 30 developer we got it up 3 levels, then popped ions purple color and blue color mixed with a 10 developer on that strand turned out great. The second strand tested we lifted 3 times so of course the color when applied was brighter. im now ready to do my whole head, I have the colors but I need to get my bleach no developer. I'm gonna be getting it from Sally's, what bleach brand and brand developer for a 30 & a 10 should I get from Sally's? And should I bleach my roots last since they are virgin regrowth? Hi I need help to get rid of gingery hair. I put a light ash brown on it and it looks more ginger. I just don't know what to do. Is there a toner that won't damage my hair and look natural to take out the red many thanks, you seem like a genius and know what your doing. Um can change in peroxide ratio can make difference? This article is excellent! 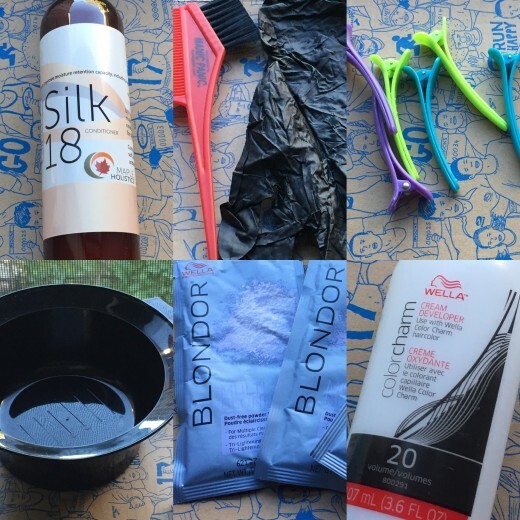 I've spent an exhausting few days trying to collect information about bleaching my hair and it's a relief to find everything I need well-organized into one place. However, I do have a few questions to further individulize what is really the best method of getting my hair the color I desire. First off, I have a kind of Level 2-3 mediumish/darkish brown hair. This is my color until you get to the last 6 inches of my hair where it's a lightish-brownish color with hints of a Level 3-4 gingery orange due to a hair color removal malfunction when I tried to get rid of stubborn semi-permanent black dye like 3 years ago (I've just left it as it is as it's not too noticeable). I have no dye or anything in my hair at all now. I've recently decided that I want my hair to be a nice natural-looking ash blonde. I will be purchasing Wella Professionals Blondor Lightening Powder with 9% (30 vol) peroxide to bleach my hair with. I've been advised that I will need to get my hair to a "clean" Level 10 and then tone it with Wella Illumina Color 10/69 (Lightest Violet Cendre Blonde) and Welloxon Perefect Pastel Peroxide to get the ash blonde shade I want. Does this sound like it will work? If not, do you have any better suggestions as to how to get it? I've also had someone advise me to not even bother bleaching my hair as it will be too hard to get the red tone out of my brown hair when lightening. Not sure if this is accurate when I've seen plenty of people do it. What do you think? So, when I go to bleach my hair with Wella at 9% (30 vol) for the first time, assuming my hair is a Level 2-3, I should end up with a Level 5-7, correct? I assume I'll need to make a second bleach application after like a week which should take me to an 8-10? If it ends up only getting to an 8 or 9, should I then make a 3rd bleach application? And if so, should I use the 9% (30 vol) peroxide again or can I just use 6% (20 vol) since my hair will almost be to my Level 10 goal? You would be best bleaching it to achieve this because it's difficult to lighten black hair to a light shade with dye. You may have luck using a high lift dye, but it's a lot less reliable for this situation. WIth either method, you'd still need to tone separately after lightening because bleach only lightens, and high lift dye won't tone darker hair adequately during lightening. Ideally, bleach the ends to a golden colour, where a hint of orange tone remains. Following that, tone using medium natural blonde, or light ash blonde in demi-permanent. The use of these shades is slightly different in that the light ash blonde I've recommended as one option is a lighter shade than the medium natural blonde. The reason for this is that a natural shade has less cool tone than an ash. The ash doesn't need to be as strong to reach a caramel shade. With either toner, you're applying and leaving it until it softens the remaining golden and orange tone from lightening to achieve a natural looking caramel shade, and the different shades will work similarly for this. With the application of the bleach, you can do this a few ways to lighten your ends. If you want it to look more natural, use a balayage technique because this looks softer and tends to become gradually lighter towards the ends. There are a few ways to apply balayage, and one method is to apply the bleach most heavily to the very end of the hair and blend upwards with the brush to create a soft graduation. Alternatively, for a precise, 'blonde tipped' or 'sharp' ombre, work in neat sections and apply to ends within foil to the desired length. This method is more suited to fashion shades and doesn't look natural like balayage. The balayage method will give you more of a summery and natural look. As for brands, use a premium bleach like Wella or Igora with 20 vol developer. This will give the better lightening and minimal damage, compared to more generic products. With the demi-permanent dye, you can use whatever brand you're comfortable with, as long as it's demi-permanent so that it doesn't lighten further or affect the mid-lengths of your hair if your application isn't precise. i have black hair and i want to dye the ends of my hair to a light caramel shade. i really dont know if i should bleach myhair and what colour and what brand i should use. can you please suggest some? oh and i would prefer if they were available in Australia or else ill just order them online. and my skin tone is brown with cool undertones. i wanted to make my hair give me some summer vibes and hopefully make me look more summery. I dye my hair red then I wanted to go blonde so I used the color oops hair color remover and it gave me a really light to medium gold color. I was in love with it, I wanted to keep that color but when I washed my hair it turn darker. So after I was trying to look for the same color on box hair dyes so I used medium golden blonde but of course on the crown of my head its was like an orangie color and i hate that. How can I get my hair gold shade like two shades lighter from the oops hair color remover without orange crown? Hi! I was just wondering is it safe to use 40 vol. developer when mixed with hair dye? I already bleached my hair twice and its somewhere between level 6 or 7 and I'm not sure if its safe to use 40 vol after bleaching? 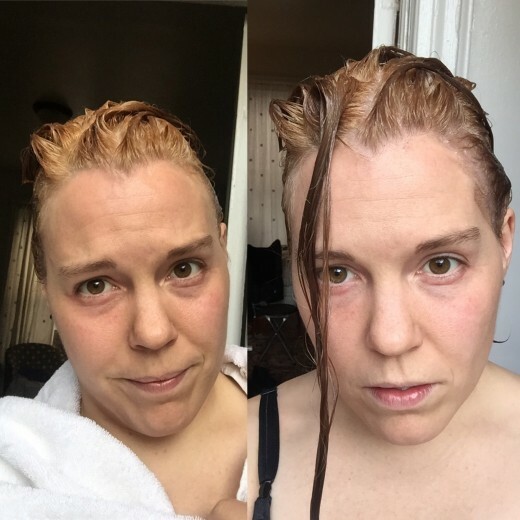 I have a natural dark blonde hair color with gold undertones, and I recently dyed my hair using a dark golden blonde dye kit. It lightened my hair at least one level and faintly made my hair more orange, but hardly noticeable. However, I would like to go one level higher, two levels maximum. By now I have about two inches of growth on my roots, which is a darker, less golden blonde than the dye I used. I am now thinking, since I only want to go a shade or two lighter than the dye, should I use a bleach with 10 vol developer? Also, should I dye my roots with the same dark golden dye I used before to provide even bleaching coverage? Lastly, do you think bleaching over the dyed hair will require a cool toner, and if so, what kind? I essentially want a slightly lighter blonde color, but for the hair to still have a golden look. Thank you so much! and btw.. as an after thought!! If I could have walked around with a highlighting cap on my head for the past 3 weeks it certainly would have made this process a whole heck of a lot easier! I've been reading through these posting and you are giving excellent advice! I'm wanted to throw my scenario at you and see if maybe you would agree, disagree or offer something I haven't thought of. I am 85% gray (white) with 15 % (what appears to be a level 2 or 3) salt and pepper. I have been dying my hair since I was in my mid 20's - over 25 years. UGHH! Mostly level 4 to 5.. Warm and cool tones, burgundy base... gold base.. you name it - what suits my mood at the time. Portugese and Nordic decent.. I tend to be on the warm spectrum but definitely can pull of a cool POP. Having said all of that.. I am in the process of just wanting to go gray! I mean it's the in thing now! YES! Finally. However, not lilac or lavender.. Just something that will really mimic my natural (now) color without living with a HORRID line of demarcation (and not cutting my hair off). I have recently lightened from a level 3 to a level 7 ORANGE :). Which I expected and promptly toned. Then colored the roots to a 5/6 The color in my pic is a bit cooler and darker than what it looks in person. My first process I used a 40vol, second process a 30vol and will now be using a 20vol with lightener. Two all over bleaches 45mins each and a bleach shampoo for an hour! NUMEROUS conditioning treatments.. with protein and some all natural stuff such as blended avacados bananas and coconut oil. My hair still feels great and no breakage! So now I ask for your advice! My intention is to bleach again.. My new hair growth is white!... So I will need to get to platinum. However I do not want to look like a sheet or a ghost. Should I go to platinum and then just lowlight? Then I will need to fill before lowlighting. I have lots of play in my hair currently so if I bleach to the point where 70% is platinum then tone? I'm thinking I should maintain the gold (warmth) to some degree, but platinum contains none :/.. I am attempting to match my new growth (of which there is none yet) as best as possible. I know this will probably be a month process at least to do it correctly. What do you suggest to make this transition as seemless as possible? If you give your hair a rest, this can help with the condition. Sometimes you may be able to get away with another process after this, but a lot of the damage is permanent because the protein your hair is made out of is damaged by the bleach. There's only so far you can take it sometimes. Apart from that, a protein treatment can help speed up the process as well as strengthen it more than rest alone can because this helps repair some of that damaged protein. That plus a good deep conditioner are the perfect products to use to keep your hair in healthier condition whilst lightening. The most important thing at this point is to try and get it all even by only lightening the darker areas now. If you can do this, you'll make the process easier when the colour is done. You may want to give the dye remover another application where it's darker and see if you can lift this out a bit more with this, but using bleach alone is fine as well, as long as it's in good condition. Just try to keep it away from the white hair as these areas will suffer a lot of damage from continued bleaching once all the pigment is gone. I want to stop dying my dark brown hair because I am now 100% grey but first I have to strip out the dark dark brown dye. I need to get to a light blond in order for me to dye my hair a chrome silver so that when my grey roots do grown in I will only have to touch up every 3 mos or longer. So I first used a color remover (Oops brand) it really lightened my roots and another 4 inches down in the front however the entire back and lower part of the sides are still a pretty dark brown but more brown less dark chocolate. So then I thought I would try bleach I used Loreal quick blue 2 oz + 30 vol cream developer 4.5-5 oz + .5 oz Oleplex #1. My roots plus a few inches are pure white the rest PUMPKIN ORANGE:) In the last couple of days I have only sprayed a protein filler and deep conditioner on the rinsed hair (no shampoo). I thought I would try to lighten the orange parts with Loreal quick blue and 20 vol only, then I could tone with Wella Color Charm T10 and 10 vol developer and continue not to dry but deep condition - then after a couple weeks have my stylist do the chrome permanent dye. What do you think? Thank you, thank you, thank you :) You're the best! The Redken Cat is a protein treatment that you apply after shampooing to repair damage. It may work fine as a filler if you spray it into your hair prior to applying the dye, but having not used it for that purpose, and knowing it's not designed with that in mind, I can't say for sure. It would also be the more expensive route if you did use it. You can also buy the same product on Amazon. Apart from that, you should be able to get one from your nearest supply store in person, or from online suppliers depending on where you're located`. As for the dye, beauty suppliers and wholesalers are good places to buy, but some will require that you own or work in a salon before they will sell to you. Others won't. Same scenario with online suppliers. There are also many suppliers that sell through Amazon or Ebay. Thank you so much for your detailed response. Can you tell me what protein filler I can buy? I have never really used one. I know you've been mentioning Redken Cat, would that do ok? Also, can you tell me where I can purchase the good hair dyes, like wella koleston or igora royal? Some developers contain additives like protein and conditioning agents which do reduce the dryness and damage after bleaching slightly. Overall, there's no significant benefit to using a developer like this as the effect is fairly mild and you can do the same thing yourself with better results by using a deep conditioner or a conditioning treatment after bleaching, and a protein treatment. Of course, feel free to use one if you'd like. 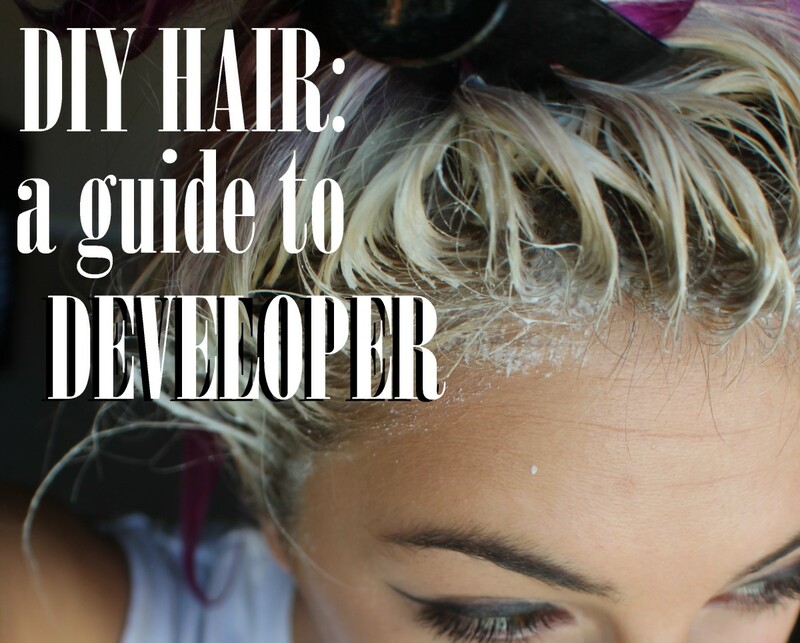 To tell whether a particular developer is better for your hair, look at the ingredients to check for conditioning agents and protein. Conditioners can be anything from oils to silicones, whilst protein can be listed as hydrolysed protein, hydrolysed wheat protein, keratin, etc. Conditioners prevent and treat dryness. Proteins reduce and treat damage. As for which brand of developer I'd recommend personally, I believe using the same brand of developer as your bleach powder or cream is best because the manufacturer has matched it for consistency and results to give it the best performance when used together. So if you were using Wella bleach for example, it's best to use Wella Koleston developer. With that said, any brand is fine as long as the developer doesn't separate or go lumpy; these are signs of an inferior product. If it does anything like this, you can bet the manufacturer hasn't went to any great effort to ensure reliability during lightening and mixing. For the ash dye, if you use a dye from the same brand as the bleach you use, you're going to get a good brand. Products like Wella Koleston, Igora Royal, and Matrix SoColor are all excellent. You can't buy them from Sally's though. I think you can buy Wella Color Charm; it's not as diverse as the Koleston, but it will still give good results and you should find it easy to use too. Whatever brand you use, go with a 6A at darkest if aiming for light brown. Go a little lighter if aiming for closer to a dark blonde, because you don't want the ash to be too intense. As for the porosity, that can be a problem. If you've found a light ash brown dye has been adequate to tone your hair to dark or medium brown, that could be either the brand you're using has slightly more intense colours, or you have more porous hair. You can get around this by adjusting how dark the dye is based on brand and how your hair responds to it. Using a clear protein filler definitely helps because it fills in the hair and prevents it from grabbing as much dye. In any case, do a strand test if in doubt. Take ash dye at one level lighter than the level you bleached to, apply to a small section, and if this immediately darkens up or just tones excessively and too quickly, use a lighter dye for the full application. You want the dye to be strong enough to tone, as well as give you an ash result, but you don't want it to be so strong that your hair is toned in a couple of minutes where you've first applied, whilst you've only applied to half your hair. A weaker ash dye means more control because the toning proceeds more slowly, making it much easier to get the result you want. You're literally a lifesaver when it comes to hair coloring, and I really appreciate all the time you put to reply to all the comments individually. I actually need some help as well. I have been dying my hair light ash brown over my natural dark brown color for many years now, and it usually comes out a dark to medium ash brown, but now I want to get a light ash brownish/dark blonde color. I will be using one of the salon quality bleaches you have mentioned, but I keep reading that even though all the developers are the same, some of them are less damaging that others. I wanna use a 20 vol developer. Can you tell me what brand developer you personally prefer? Also I'm not sure what volume developer to use with the hair dye for toning? should it be 10 vol? and I would appreciate if you tell which brand and color dye to buy from Sally to achieve that light ash brown/blonde color? Also, would I need to use a protein filler right after bleaching cause of the hair being porous to avoid going too dark with the hair dye? I basically need to know what to exactly buy from sally to get this look. I really appreciate your help. It's exactly the same. The only difference is that natural red hair colours will show more warmth as they lighten and can look red or coppery for longer before you start to see a transition towards more of a yellow colour. This is countered by toning. Basically, lightening and dyeing are separate processes. In red hair, lightening is the same as in other colours, but the toning afterwards will often need to be slightly different in that if there is a lot of red or copper tone present, green or blue-green based ash colours may be needed to neutralise it properly. At least a light orange colour for it to show up. Based on level, your hair would be somewhere between a 3 (Dark brown), and 1 (Black), and you will need to take it to at least a 5 (Light brown) for a deep yet vibrant purple. Closer to a level 4, the result will still look purple, but it will be more subtle. Of course, everything also depends on what dye you're using. If you lighten your hair as much as is necessary yet use a dye that is too light, it won't work because there will not be enough pigment present to create that dark purple colour you want. 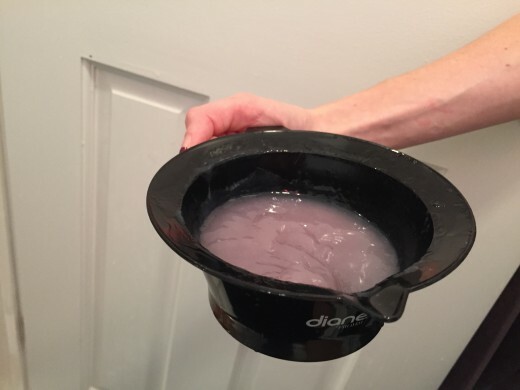 Ideally, use a permanent purple dye that is level-based like Fudge Headpaint's 4.22 or 5.22 to be sure of how dark it is, or use a semi-permanent purple dye that you are sure is the depth you want. Hi I know someone who has read this but they have strawberry blonde hair, would this work for her to get lighter blondish hair? If your hair is naturally that darker blonde colour and you haven't used any dye on the regrowth as of yet, you can lift it with 9A and 30 vol developer to take it close to platinum. In dyed hair, or when you want a more reliable lift and definite platinum result though, it's always best to lift to pale yellow and then tone separately. Best idea with the highlights is to to add bleach or dye to the darker areas first if possible, lighten to the same depth, and then apply to the lighter areas so that it all evens up. Is this from using the exact same shade? A 10A is a very pale and delicate ash blonde colour, so you shouldn't end up with a dark ash result from using it. In any case, if it's a permanent dye there are a few ways you can strip it out to lighten and soften the ash tone so that the colour isn't as dark and ashy. Dye remover is a good choice as it's not damaging and is easy to use. If you want to go this route and need extra information about how to use it, or which remover to use, let me know. All you need to do is mix the two solutions and apply though. Once this processes for about 20 minutes it is rinsed and then you can correct the colour by dyeing it again. The remover breaks down artificial colour molecules so that they can be shampooed back out and this is why it doesn't damage as it has no effect on your hair structure or any remaining natural pigment. Other options include bleach washing or clarifying shampoo. The shampoo is designed for removing product buildup and excessive oil, so it's stronger than a regular shampoo. It helps fade dye out sooner by washing it out, although it is drying and needs to be followed up by conditioning to correct this after use. It's not damaging as long as you use conditioner afterwards, but it does take longer to remove a buildup of colour. It's also the best option if the dye you used was semi-permanent as this stains the hair and removal of the stain removes the colour. Bleach washing requires a mix of bleach and shampoo and this strips out the dye. You'd mix this and apply for about 10 minutes to strip out the excess ash tone. This lightens it and because it's only in your hair for a little while it's relatively non-damaging, but there is the potential for damage so it's better to leave this option as a last resort in your situation where dye remover should work well. After dying my medium brown hair black for 6 years and carefully in steps getting it bleached out I finally achieved a very pretty light blonde color using Argan Oil One n Only 10A lightest ash blonde. It was not ashy since there was so much orange in it from the bleaching--it was like a light bright blonde but more on the honey gold side than platinum. The 3rd time I did root touchups and all over color, however, I was/am left with an odd very ashy gray brown color that could in no way be mistaken for blonde. Help! I want the blonde back. I went blonde since my roots were growing in gray and white and thought it would blend better. I left it on 30 minutes this time and the other 2 times almost an hour--could this be the reason? That it didn't fully develop? I used 20 toner from the same brand line. My hair is in good condition since i only flat iron and blow dry once a week and use Wen products only. I cannot stand this color!! Help, please! What can I do to fix this? So you've never dyed it before? As long as there's no artificial colour in your hair (Like from permanent dye), it will transition through stages from a dark brown colour to red, red-orange, orange, and finally shift towards gold and then progressively paler shades of yellow. Once it hits a golden-orange colour, you're at the dark blonde level, approximately. The reason this works is because as the concentration of natural pigment (Melanin), decreases, it changes colour as well as becomes lighter overall, because red melanin bleaches out first. This allows you to judge how dark it is and more accurately reach the level you want by colour, but it's harder to do this with dyed hair as red tone from dye can often persist into lighter levels. Where you would normally see yellow for example, at about level 8, you might see orange at that level even though it is the lightness of level 8. It also often takes longer to lift dyed hair and you can't always get it as light as you want without impacting the condition of your hair. In any case, be careful with how often you bleach it and keep to at least 1 week between processes. Preferably longer for healthier results. As long as you watch the condition of your hair, you can get it blonde without your hair weakening too much. Hi, my hair is naturally dark brown. I bleached it with peroxide 3 times and it is an orangey red. How many more times do I have to do it to get my hair into a blonde? Doing it in reverse will keep damage to a minimum as if you dye over it all with the dark brown, you then need to bleach the ends further to get them light enough. If you dye from roots to where you want the ombre to start using the dark brown and then bleach the ends out to the level you want, you can tone the ends to caramel. Bronde hairstyles tend to be a combination of dark blonde and light brown hair, rather than one colour. If you get it to the point where a dark blonde starts, you could emulate the colour in one shade, but it won't look exactly the same unless you highlight and lowlight it. With the bleaching process, start with the regrowth, about an inch away from the scalp and apply from that point to the line of demarcation where your old colour starts. Then apply to your roots closest to your scalp after about 10 minutes, and lift it all to match the level of your old colour before applying bleach there. Depending on how much darker your regrowth is, you may need to lighten this in two steps, lifting the regrowth first as above, rinsing once it reaches roughly the same level as your old colour, then lightening again after resting your hair for a week or two. As long as you don't surpass the maximum processing time for the brand of bleach you're using, you can minimise damage. When you reach this point, rinse the bleach because it's not going to lift much further at this point. What it will do however is lead to more damage because the longer your hair is left in the alkaline environment, the drier and more brittle it becomes, even when the actual lightening chemical reaction has almost stopped. The maximum processing time is pretty much an indicator of when the lift will have significantly slowed down, and the product should be rinsed and reapplied at a later date if more lightening is needed. As for getting the bronde colour, there are a few ways you can do this. For a better match to the typical style, lift to light orange, then apply dark golden blonde highlights and tone the base to a slightly golden light brown. For an all over colour, lift to the point where the orange is starting to turn more golden, mix half dark natural blonde and light natural brown, and apply this to tone to somewhere in-between blonde and brown. My hair was bleached to a medium blonde about a year ago, 6 months later I dyed it back dark brown, my natural color. Ever since I've regretted because I'd perfer to be a neutral dark blonde/lightest brown, like a bronde color . I was wondering since I have a good few inches of regrowth since my hair was bleached, and there would be bleached and unbleached hair, how would the bleaching process work to get it all even, do I need to take some precautions? And what toners would you recommend for a bronde color after its bleached up to an orange color, which I assume would be the color I need to bleach it to? Woah, I'm so grateful for your answer. I'll do what you said. Thanks for the tips and all the stuff. Wella's Blondor bleach products are somewhat flexible and you can mix them in anything from a 1:1 to 1:2 ratio. Mixing it closer to 1:1 gives a thicker product, which can be helpful when applying to the ends of your hair only for ombre effects. As for application of the dye, apply to damp hair if using Color Touch, work quickly, watch it the entire time, and rinse once it has toned to your liking. It will turn more silvery and then to a silvery violet-blue if you leave it on for longer. For touch up, it really just depends how you want the ombre to look; ie, whether you want to keep it at halfway to the ends, of you're fine with it gradually growing out further as your hair grows longer. The great thing about ombre is that you don't really need to touch it up if you don't want to because it continues to look the same but just starts lower down the length of the hair as it grows. If you want to keep it at about halfway along the lengths, you can lighten a small section of darker hair just above where the ombre begins to extend it after 2 - 3 months. With platinum hair though, you're going to see a lot of damage with any overlap from the darker hair onto the previous ombre so you need to be really careful if you intend to do this. Once hair reaches that pale colour, bleach has more of an effect on the protein that your hair is made out of because there is less melanin (Pigment) left to react with the bleach. Finally, to be more specific on the 12/81, you can use it instead of bleach for achieving blonde hair, but not as the toner after bleach and it's far less reliable for achieving a white colour. It's easier just to use the bleach and you can see when it's light enough because you're watching it lighten without any colour deposit. Then you have the flexibility to apply and rinse toner to the colour of your liking. A high lift is more complicated because if it doesn't lift enough, it doesn't reach platinum or tone properly. If it deposits too much colour, you end up with grey to blueish hair. If it doesn't deposit enough or hasn't lifted as well, you end up needing to lighten further or tone separately anyway. Any previous dye in your hair will also prevent a high lift from lightening to the platinum level a lot of the time. I'd recommend using high lift more for when you want a light blonde result but don't specifically want your hair to be white or care if there is a little warmth remaining. It's less precise for the result you want, but it's your choice if you want to go with it and it is doable; just harder and less straight-forward. What a complete answer, he he, thanks a lot, it is very helpful. In which ratio should I use the soft blonde lightener with the 20 vol ? Did I apply the dye on damp hair ? If I understand, I can't use only 12/81 to achieve what I want ?